In a deep espresso finish, the Ervin Collection by Coaster Furniture achieves a sleek, contemporary look that can serve as both a casual and formal dining space in your home. The dining height table and counter height table each feature a smooth cracked glass center inlay for an extra bit of sparkle and added luxury. 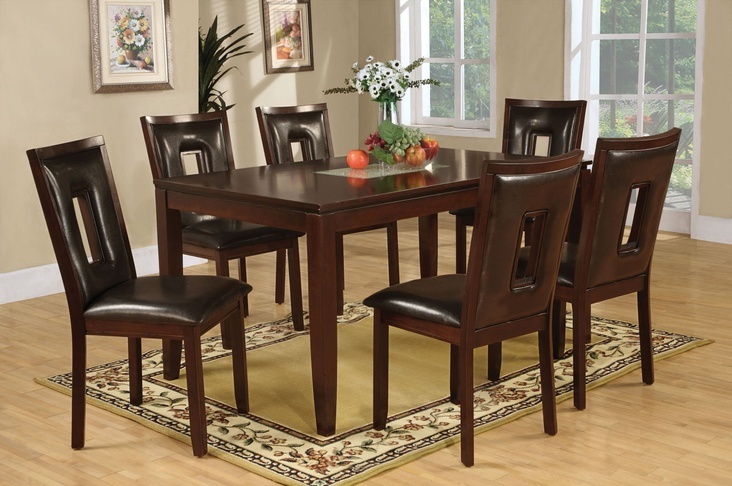 The modern dining chairs and counter height stools offer comfort with the padded faux brown leather. Each piece is crafted from select hardwoods and veneers, from the table tops to the tapered wood legs.